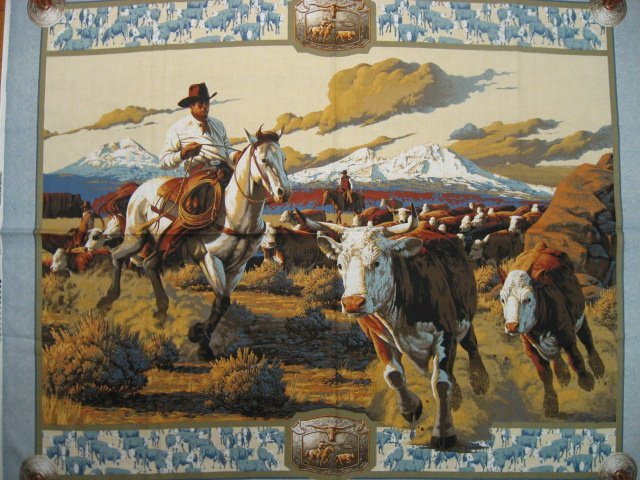 This is a one yard wide stunning cowboy wall hanging or quilt panel to sew. Beautiful picture of a cowboy herding cattle in the Southwest. There is a light blue denim look border with a picture of a concho in each corner. I have the matching pillow panels listed in the fabric pillow panel category.